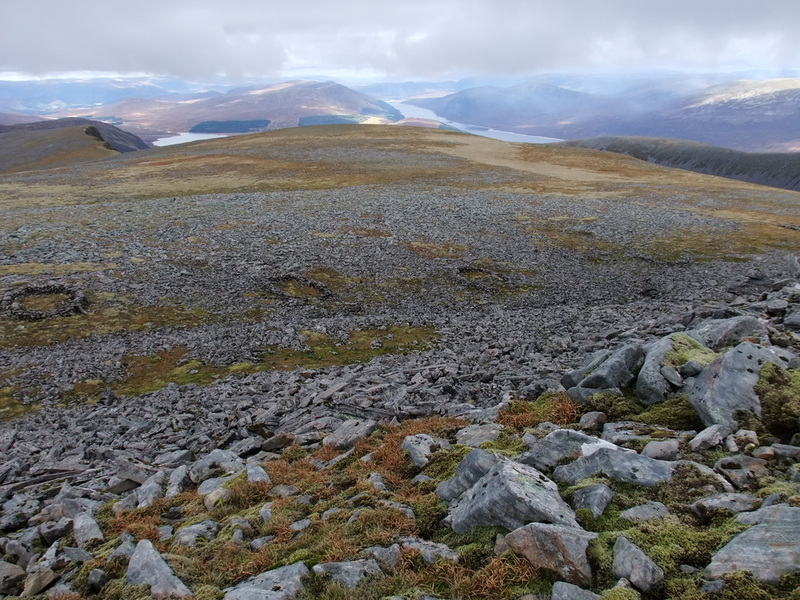 Banner photo: taken from the deluxe bothy/garage at the south end of Loch Ericht with Ben Alder and Beinn Bheoil to the left, Stob an Aonaich Mhoir to the right. I woke up at the crack of dawn and despite the previous day being very tiring, I felt full of enthusiasm. Me enthusiasm was in part being fed by the glorious weather. 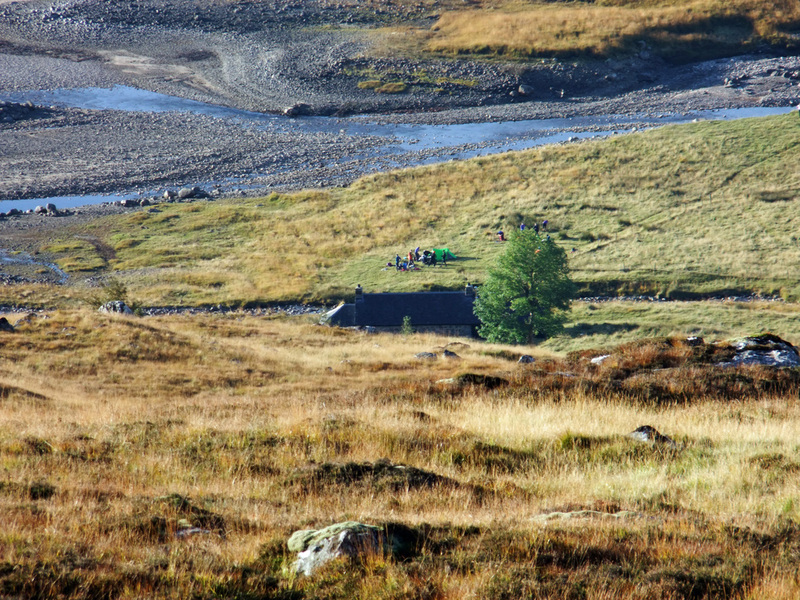 I had just spent my first night in the haunted Benalder (McCook's) cottage. The cottage is said to be haunted by the ghost of a gamekeeper called McCook, who worked for the Alder Estate, that hung himself in the cottage. However, no date is given for this event, and McCook apparently retired to Newtonmore. Apparently, strange lights and noises can be seen and heard within the cottage. Other than a few mice (or where they the ghosts of mice? ), it was a very quiet night. The lengths that the landed gentry will go to to keep people away! I headed off ahead of the DofE group from Robert Gordon College. 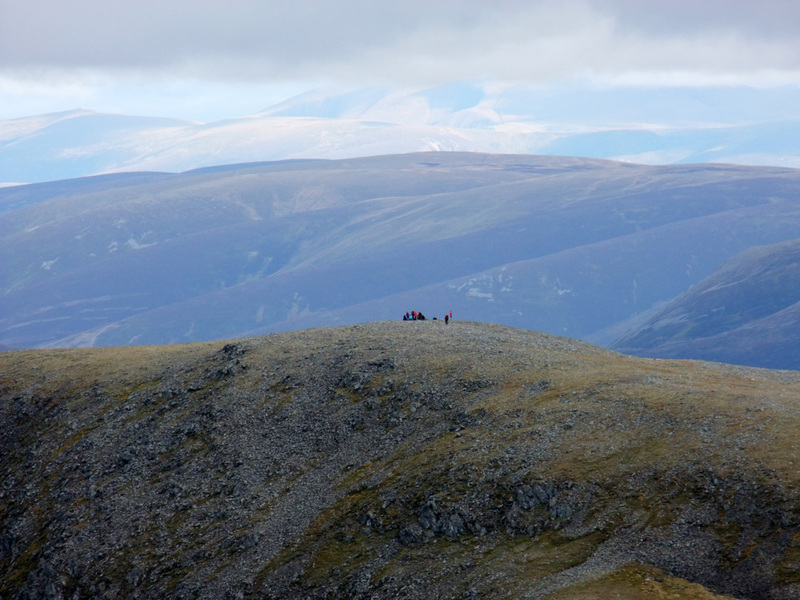 They too were heading for Beinn Bheoil. 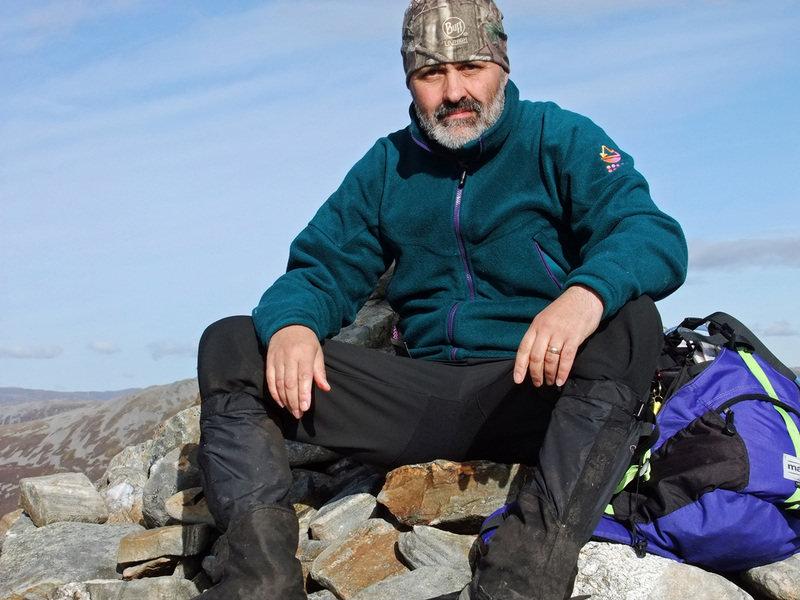 I initially set off along the wrong path, having not noticed the pathe leading directly up from behind the bothy, but it was not difficult doing a rising traverse across to the path. Crossing the burn, I took the opportunity to fill my water reservoir. 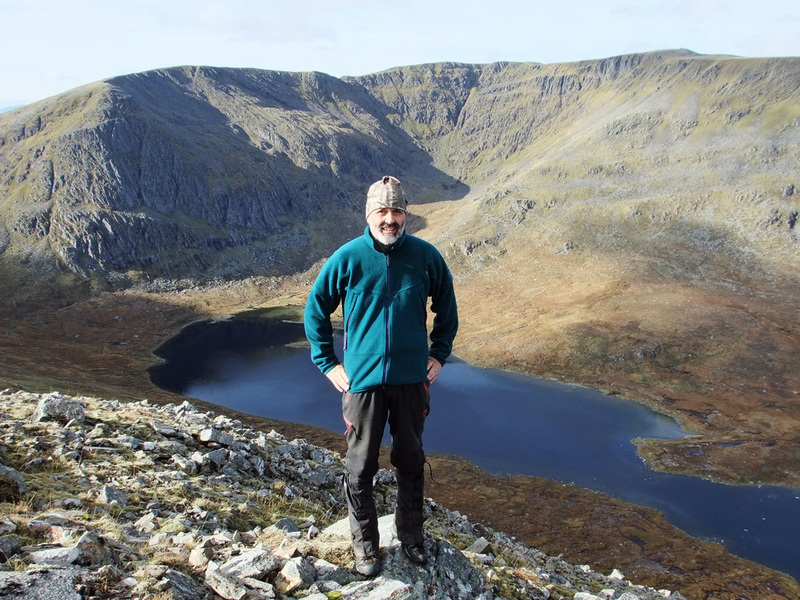 It is a delightful walk across the connecting ridge to Beinn Bheoil, especially on such a splendid morning. 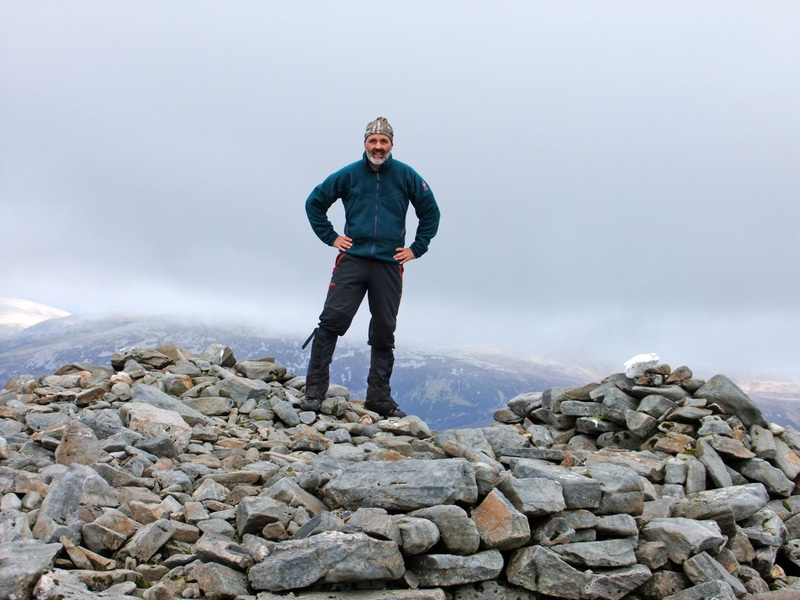 There was a nip in the air on reaching the summit, but that is to be expected in October! 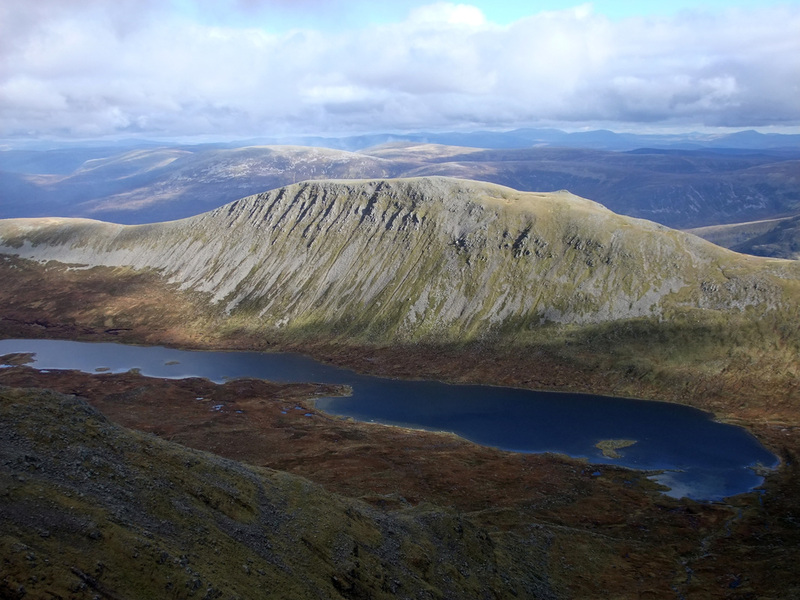 Here, Ben Alder looks magnificent in the sunshine, but sadly, the weather was to change, though I still had no need of a waterproof jacket all day. 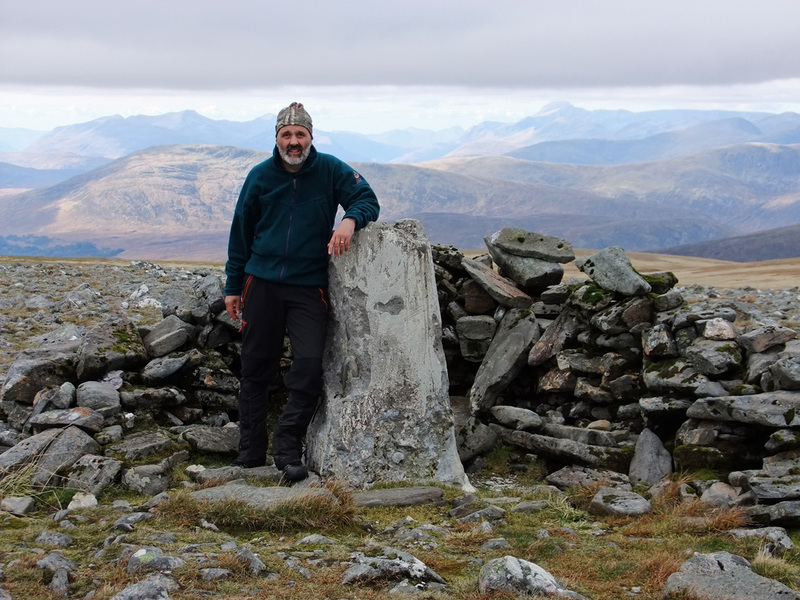 On my return towards Sron Coirie na h-lolaire, I stopped off at this small feature in the ridge to produce the reverse photograph of one taken the day before on ​Stob an Aonaich Mhoir. As I approached ​Sron Coirie na h-lolaire, I could see the DofE group taking a break. I did not take the detour to talk to them as I wanted to push on. 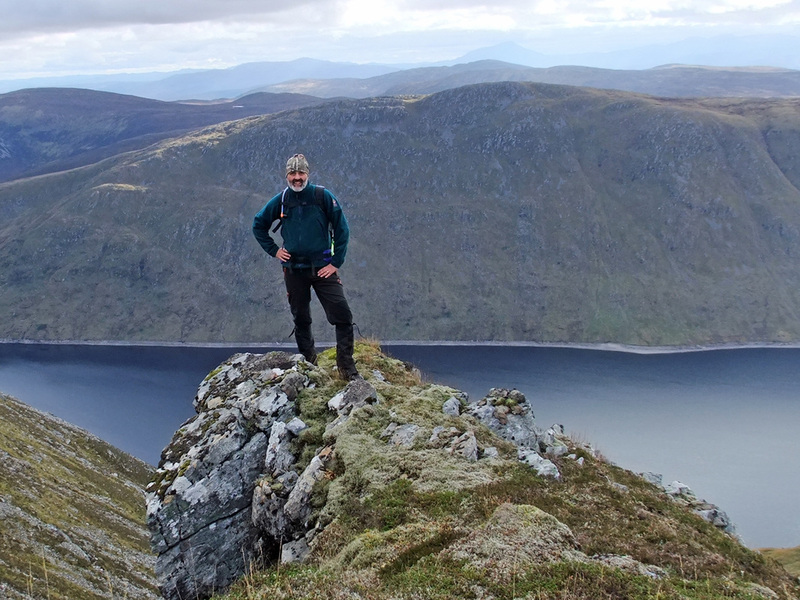 It is a quick descent down to Bealach Breabag and a not so quick and easy ascent up the scattered paths up to Sron Bealach Beithe, from where I could see the DofE group on the summit of Beinn Bheoil. 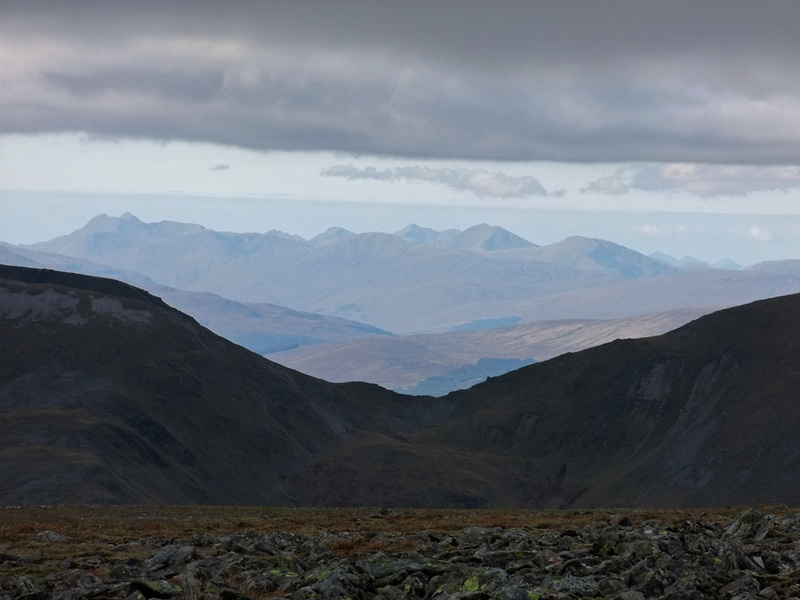 The Mamores and The Big Four (Ben Nevis, Carn Mor Dearg, Aonach beag and Aonach mor). The Ben is 33 km or 20.5 miles away! The more distant hills are Ben Resipol and Sgurr Dhomhnuill. 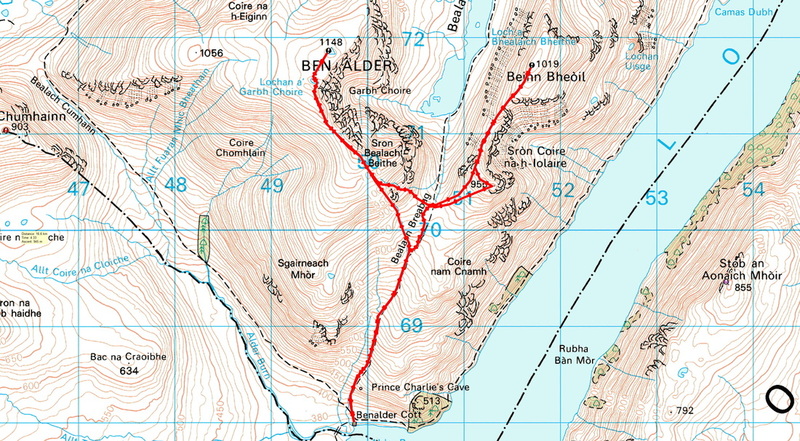 Beinn Resipol is 55 km away or 34 miles! Looking towards a sunnier Knoydart: I have been trying to work out what's what! 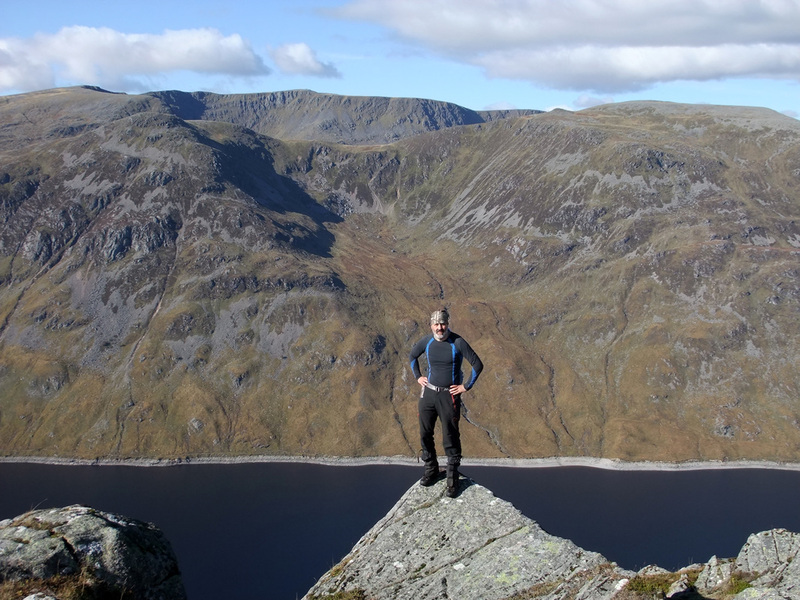 My best effort is that the prominent peak to the left is Sgurr na Ciche 1040m, the distant peak above the lowest pint in the Beinn Eibhinn - Aonach Beag bealach is Ladhar Bheinn 1020m (approximately 75km away) and to it's right is Sgurr Mor 1003m. Can anyone confirm this? 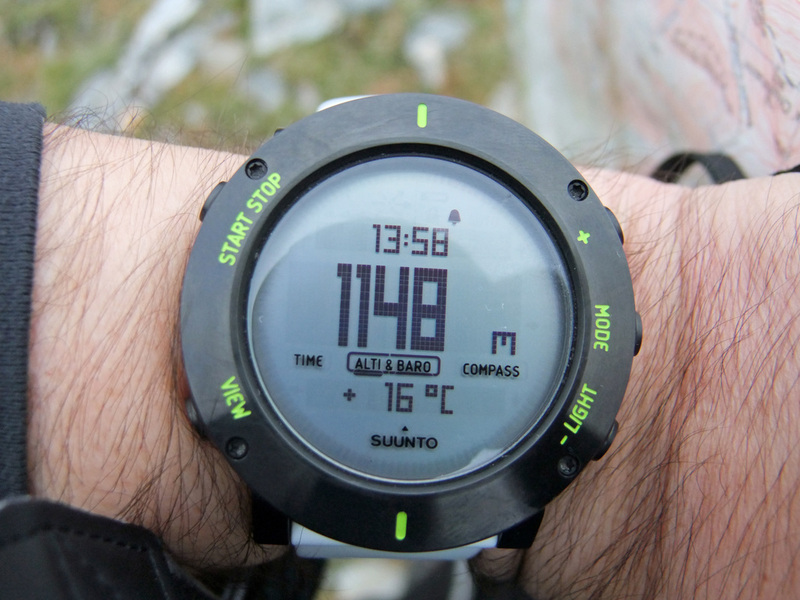 Time for some summit selfies and a check on the altimeter on my watch, not that there were any doubts that I was at the top! 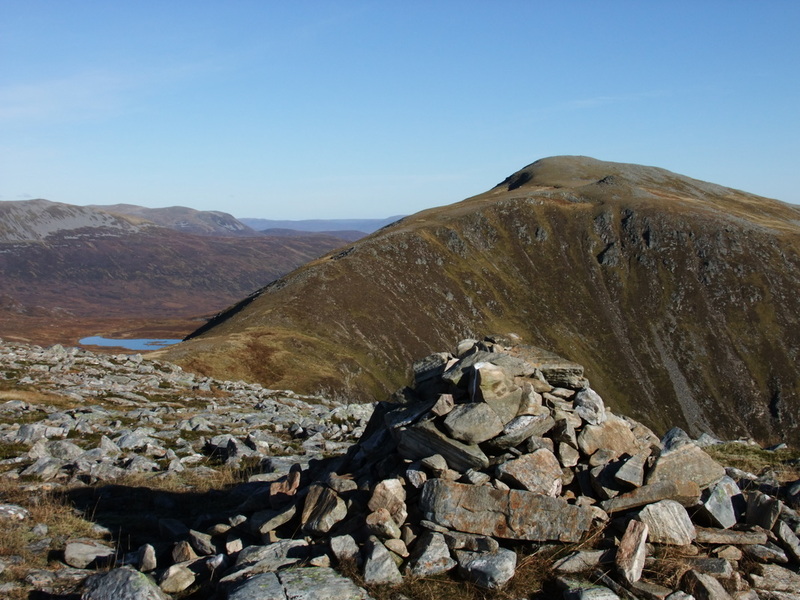 To the north-east of the summit is a ruin and some circular stone walls. 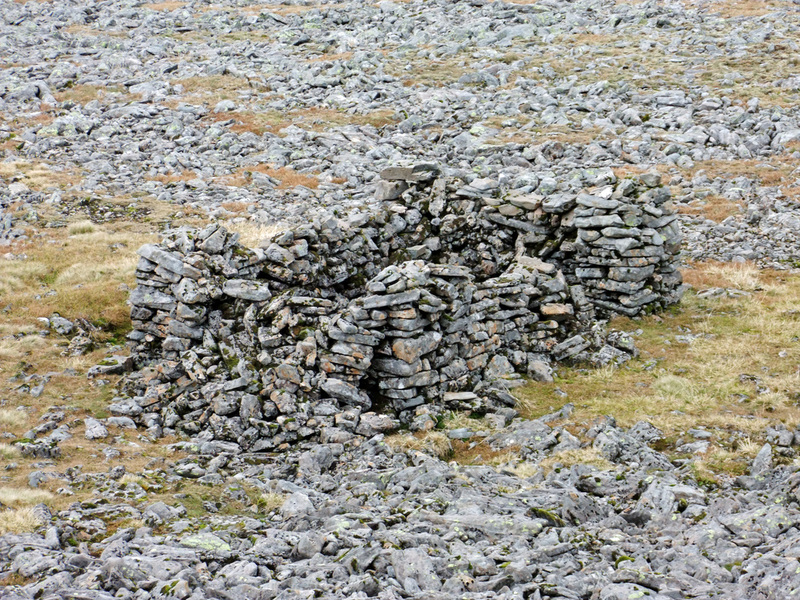 My research suggests that they are remains of a camp set up by Major General Thomas Fredrick Colby as part of the original Ordnance Survey mapping party. I believe that they are known as Colby camps. Thanks to Hugh Summerton for the information. As I left the summit, the weather brightened up again allowing a photograph of a sunlit Beinn Bheoil. 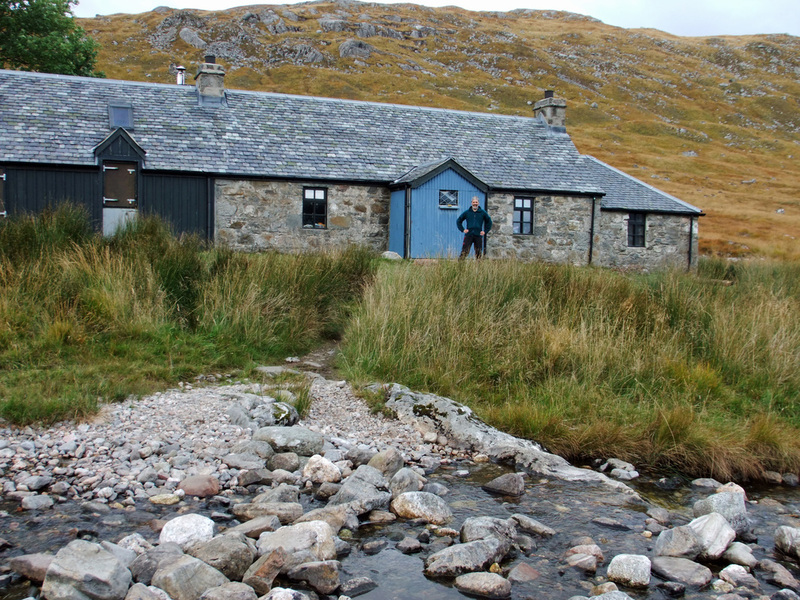 I was back at the bothy around 1600, ready for a hot cup of coffee and some grub before setting about making a fire. I moved my sleeping kit from the room with the stove to the small middle room with the bunk beds.